Mould damage removal and remediation is an area Capital has the knowledge and expertise to manage to ensure that any mould resulting from water damage and moisture issues is addressed quickly to stop the contamination from continuing to spread and further damage your property and your health. 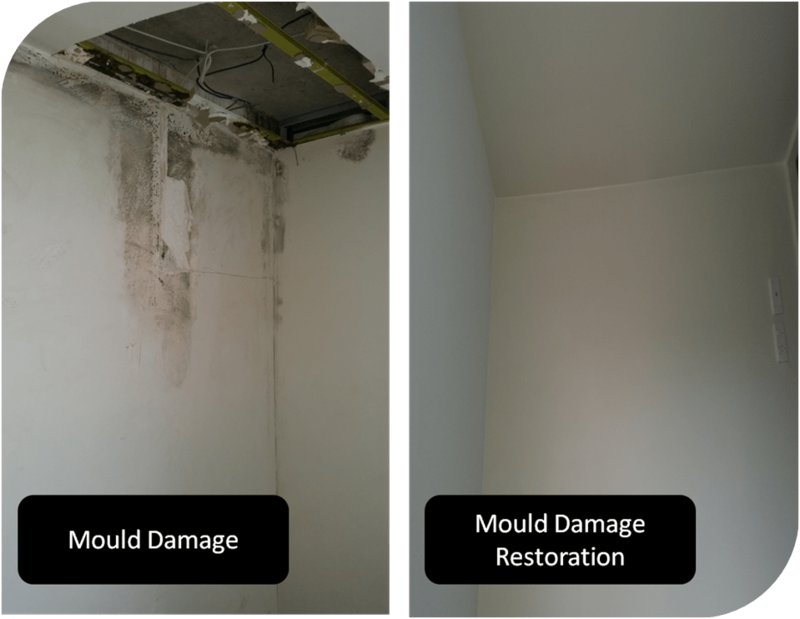 We undertake mould damage assessments, remove the mould, disinfect and sanitise the affected environments, dry out the wet surfaces and then go on to conduct restoration work required. As the photo below shows we cut out mould, re-plaster and paint to ensure that your property is returned to its pre-loss condition.